If Travis Burley had it to do all over again, he would have worked harder in school, he told The South Florida Sun Sentinel in 1995. He also would have gone to college. Instead, he turned pro out of high school and lasted all of three seasons. He never made single-A. "I needed time to grow up," Burley told The Sun Sentinel as he tried to make a return to the game. "I understand about responsibility now. I know what it means to be on time and do the things asked of you." Burley made his return that year, but he didn't stick. He played briefly in independent ball, ending his career. 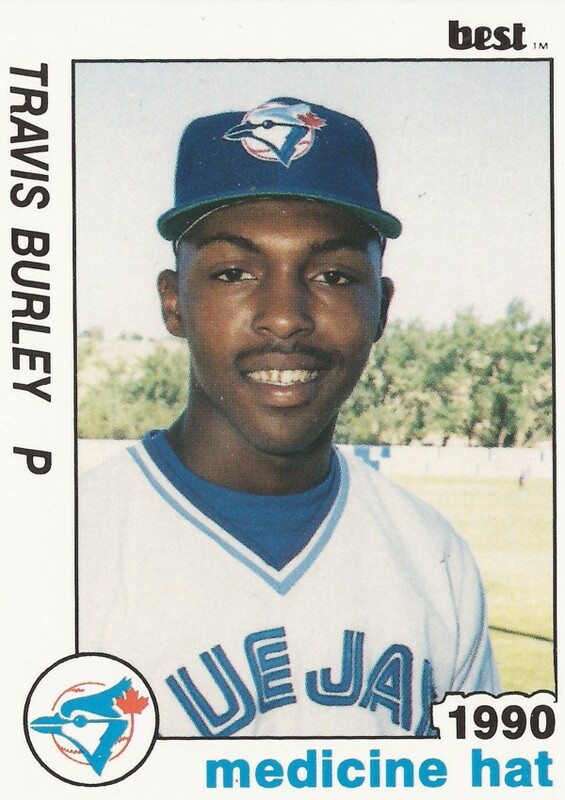 Burley's career began in 1990, taken by the Blue Jays in the 15th round of the draft out of Miramar High School in Florida. At Miramar, Burley got advice from his cousin Oddibe McDowell and looked ahead to a possible major league career himself. He did so by trying to play as much as he could, The Sun Sentinel wrote. "I think it's the best thing for me," Burley told The Sun Sentinel of his extra playing time. "The problem with most guys when they get to the majors is they're not used to playing every day. I think I play more than 162 games in a year." Burley went 5-8 for Miramar by late-April 1990, striking out 111 batters in 72 innings. He also turned in a 1.68 ERA, according to The Sun Sentinel. "He was raw," Miramar coach Carl Andrietta told The Sun Sentinel of Burley, noting a turn from outfield to pitching. "His mechanics were terrible and he only had one pitch. But could he bring it." 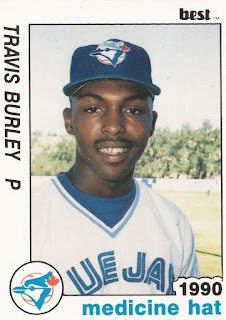 Burley started with the Blue Jays as a pitcher at rookie Medicine Hat. He went 3-4, with a 6.69 ERA. He threw a hitless relief outing in early July. Burley moved to the rookie Gulf Coast League for 1991, but only stayed briefly. He got into three games, ending his Blue Jays career. He played 1992 with the Cardinals in the rookie Arizona League. He got into 19 games, with a 1.30 ERA. He then tried his return in 1995, but only got into two relief outings at independent Aberdeen, closing out his time as a pro.